So this happened…U2 surprise released their long-awaited new album, Songs of Innocence to the unsuspecting masses via iTunes, but what about the music itself? First of all, Songs of Innocence sounds like a U2 album, unlike their previous effort, 2009’s quickly forgotten No Line on the Horizon. While I’ll readily admit I’ve been a U2 fan for over 30 years, that doesn’t mean I’ve loved everything they’ve released. I can still be objective about my favorite artists and I’ll simply agree to disagree with David Fricke’s excessive five-star review for Rolling Stone, although he did make some excellent points concerning the album’s subject matter. Songs of Innocence is indeed a very good U2 album, but I’d hardly call it perfect. To quote Bono: “Very good is the enemy of great,” but with that said, the band’s 13th release is a welcome return to form. 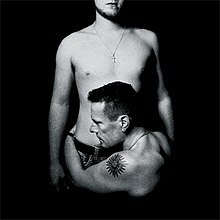 Songs of Innocence successfully manages to be reflective, while concurrently demonstrating a positive step forward in the band’s canon, ultimately proving the world did indeed need another U2 record. U2’s Songs of Innocence arrived today in its proper physical release form as a 2-LP set on 180-gram white vinyl (with an exclusive 12” mix of “The Crystal Ballroom”), and as a 2-CD deluxe version complete with bonus tracks, acoustic sessions, plus the hidden full-length version of original lead single “Invisible.” The deluxe version adds a new dimension to the overall listening experience, as it highlights the set’s strong points (most notably the stunning acoustic version of “Every Breaking Wave”), adds high caliber bonus tracks (“Lucifer’s Hands” and “The Crystal Ballroom), as well as corrects the previous omission of “Invisible” with its apt inclusion.